Experience an ocean oasis of indescribable beauty and biodiversity on this extraordinary expedition through Indonesia. Journey into the heart of the Coral Triangle and explore the incredible underwater riches of Raja Ampat, the Maluku islands and Wakatobi on a marine lover’s dream adventure. In Bali walk through rice paddies, visit bustling colorful markets, temples, traditional villages, meet the friendly locals and witness authentic Indonesian life along the way. Be pampered, dine on delicious cuisine and enjoy a massage at wonderful resorts and onboard our privately chartered luxury yacht. Exceptional marine life, colorful culture and history combined with world-class service and accommodations make this the ultimate Indonesian adventure. 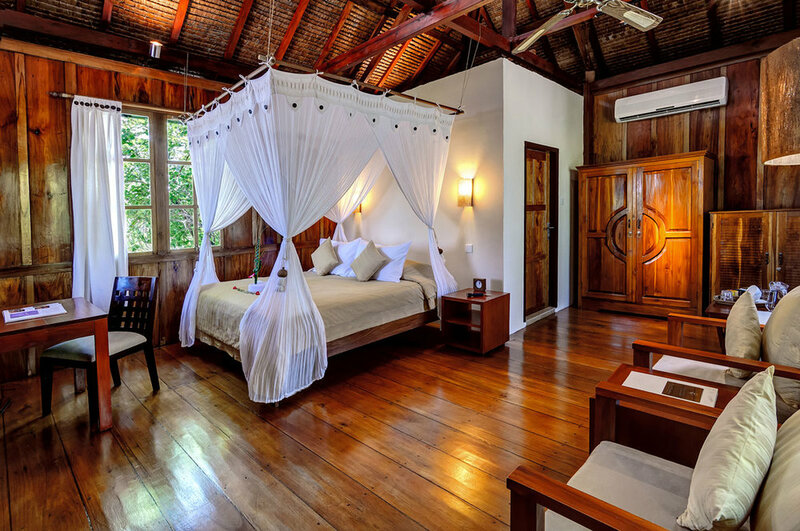 Start your expedition in Wakatobi and listen to the soothing sound of the waves lapping at the shore as you relax on your private porch at this exclusive island resort in southeastern Sulawesi. Stunning island landscapes and a pristine natural environment with world class marine life all on your doorstep, this luxurious island resort works hard to offer its guests the highest level of service and the most exceptional experiences and memories. 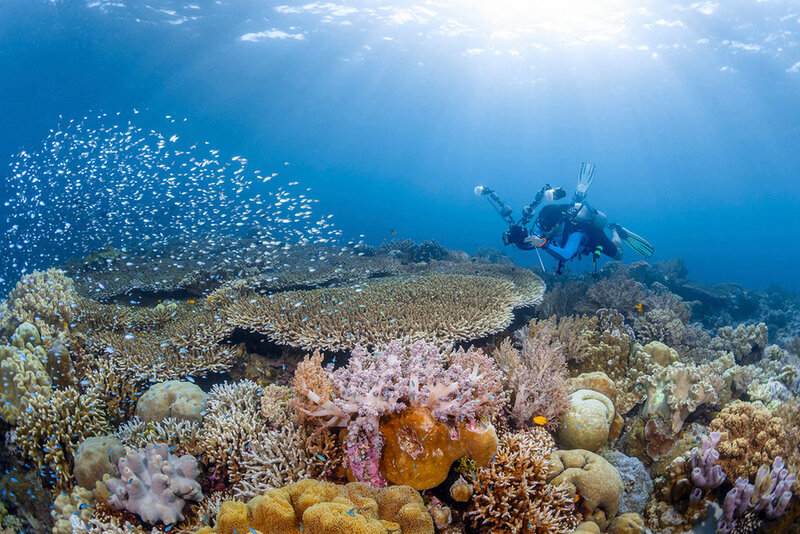 With their Collaborative Reef Protection Program, they are protecting the 30km of reefs surrounding Wakatobi, which has allowed the reefs and marine life to flourish and become one of the world’s greatest marine biodiversity hotspots. Discover an abundance of colorful reef fish in the shallow reefs, mantas circling over cleaning stations, patrolling sharks and pelagic fish schooling off the current-swept seamounts, walls and pinnacles. Head to Ubud, Bali’s cultural heart in the highlands of Bali for a three-night stay in a beautiful Balinese hotel, reserved exclusively for our Wild Earth Explorers. Walk through lush rice paddies, visit picturesque temples, stroll through the colorful local market, learn how to cook a traditional Indonesian meal and experience the Balinese way of life. 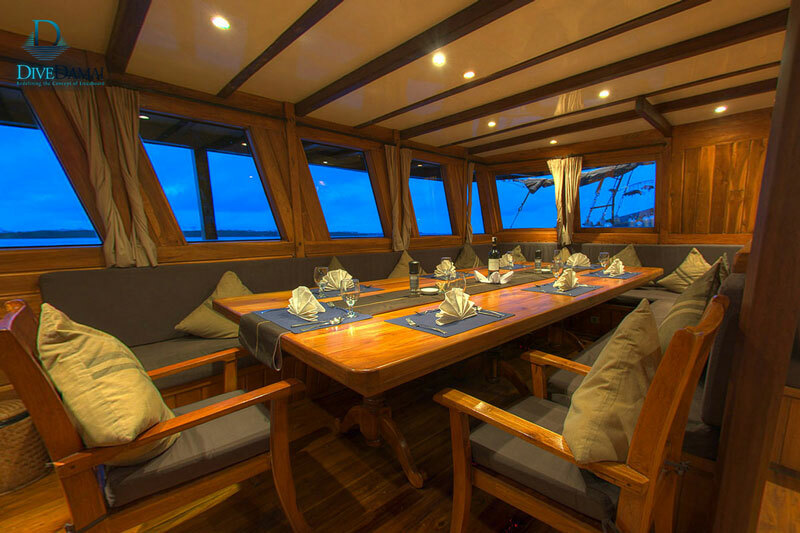 Board one of Indonesia’s premier luxury yachts, the Damai I to dive, snorkel and explore what has been hailed the #1 marine biodiversity hotspot in the world, Raja Ampat and the Maluku islands in the heart of the Coral Triangle. A 12-day journey starting in Ternate North Maluku home to a magnificent array of marine life with over 468 species of hard coral, and a wide variety of nudibranchs and unusual critters. Continue to Halmahera, the largest island in the Maluku Archipelago with over 800 species of fish recorded. 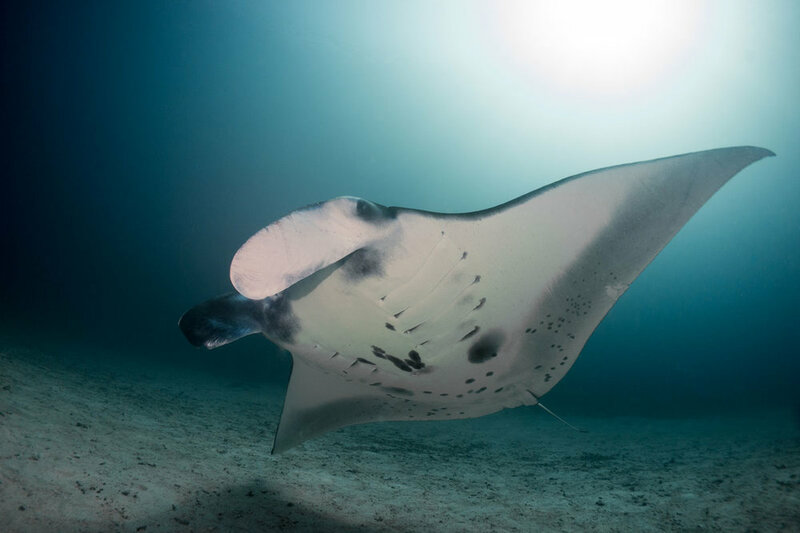 Look for colorful ‘critters’, Turtles and huge schools of Barracuda, jacks and Batfish, passing Eagle Rays, Bumphead Parrotfish, graceful Manta rays, and the recently discovered walking Epaulette Shark. Soak up the history of the Maluku Islands, famous for their spice trade and discover its incredible reef drop offs brimming with schools of fish, before heading across to southern Raja Ampat to witness the colorful soft coral reefs surrounding Misool. Here the pulse of marine life thrives from the sea floor to the surface where the kaleidoscope of corals can start in less than a meter of water. The experience of drifting along miles of exquisitely hued reef, brimming with activity, is simply breathtaking. Continue your travels to northern Raja Ampat with its plethora of reef fish (27 endemic), numerous crazy critters all co-inhabiting its spectacular reefs, seamounts and cleaning stations. The jewel-like islands are caressed by a convergence of swift nutrient-rich currents boosting an enormous variety of life. Visit Penemu lagoon and climb the hill for fantastic panoramic island views. Rise early to watch the mating dance of the colourful Bird of Paradise. Finish your expedition in Sorong in West Papua for your flights home. Inform one of our friendly Wild Earth Team members of your interest in booking a space or place an enquiry about the trips details. Thank you for requesting our 2020 Indonesia Brochure. Wakatobi was founded on the principle that discerning divers would gladly visit and support a resort which offered more than just the basics. 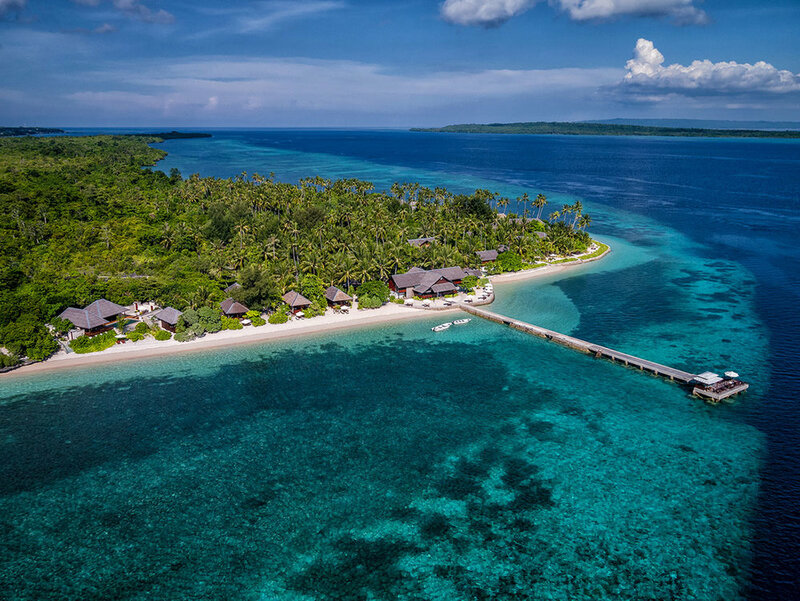 Wakatobi combines an upscale diving operation delivering exceptional service to its guests with a reef conservation program which, in guaranteeing the pristine quality of the reefs for their guests and delivering a sustainable income and development support to the local communities. Wakatobi’s location was selected for one reason – because the world’s best coral reefs are found here. 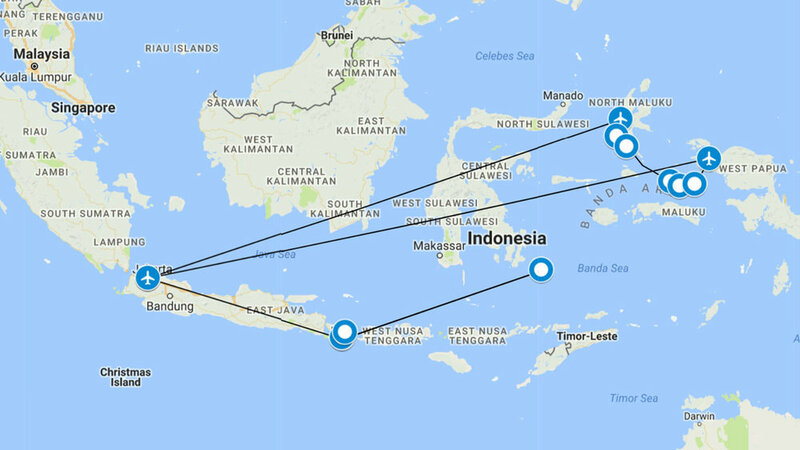 The isolated nature of the location is, of course, a hurdle to any operator not prepared to deal with the inherent challenges, making sure that Wakatobi are still the only resort for many miles around. From this uncompromising start point, they have approached every other aspect of the operation with the same single-minded determination to move beyond what is commonly expected of a ‘dive resort’. 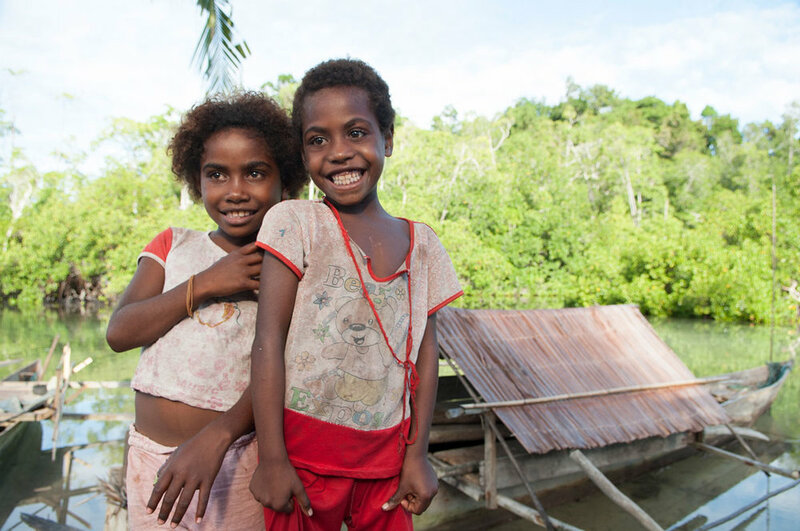 Wakatobi was built from scratch, they generate their own power and fresh water; they have built their own airstrip to make sure that they are easily accessible (previously an overland and local ferry trek of several days was required to get there). A vital part of the ‘infrastructure’ is of course the coral reefs. Wakatobi have set in place extensive conservation efforts including the creation of a unique reef-lease conservation program to protect and enhance the coral reefs for the long-term benefit of the island and its communities. One area where they continue to innovate with great effect is in the area of service. Fine dining, an agreeable wine list and an abundance of culinary choices. Numerous non-diving activities are available to entertain and enrich, from kitesurfing to local cookery classes and Yoga and nature walks. The ‘Wakatobi flow’ is the concept underlying the service and facilities development on Wakatobi – the simple idea that, you, the guest, should be able to connect with nature and quickly settle into a state of otherworldly bliss without hindrance; that service should be transparent – unobtrusive but ever present, anticipating and proactively addressing your needs.